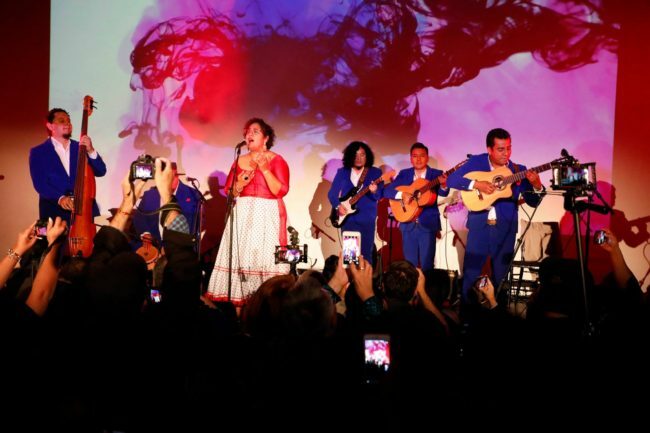 La Santa Cecilia, the modern-day creative hybrid of Latin culture, rock and world music, along with their management company Criteria Entertainment threw a jam-packed release party for Amar y Vivir, the unique visual album of Mexican and Latin American music. The video/album was shot and recorded in a blistering 5 days in Mexico City, in streets, bars, parks and iconic locations like the Plaza Santo Domingo, the Zócalo and Salón Tenampa. The evening, preceded by a live acoustic set and vinyl signing at Hollywood’s famous Amoeba Records, kicked off with a full-screen viewing of the video, followed by Santa Cecilia’s trademark dramatic entrance. From there on it was fiesta-time as the band belted, crooned, soared and celebrated a set list of 7 songs, started with the title song, “Amar y Vivir“. The crowd – jammed elbow-to-elbow from the control booth in the back of the cavernous room to the stage ion the front — swayed, clapped , sang along and danced whenever a few feet of space appeared. 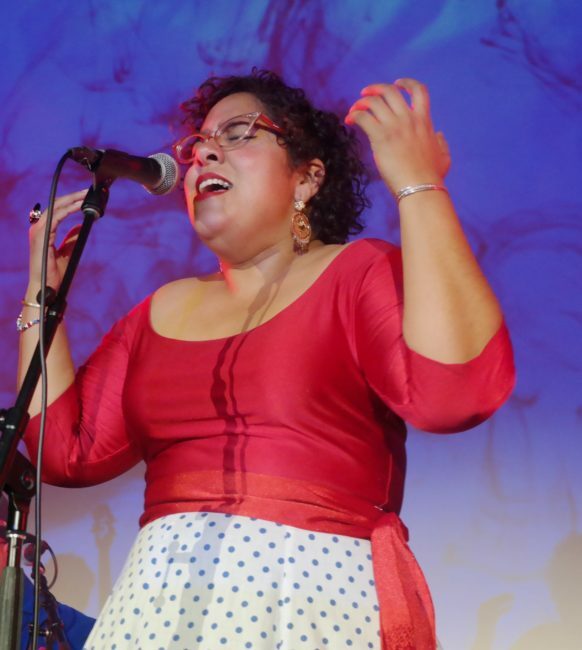 Mostly, they poured loved onto band, a phenomenon at every La Santa Cecilia concert. That loved continued after the singing stopped when the band left the stage and worked its way through the crowd to the exit, hugging fans along the way. 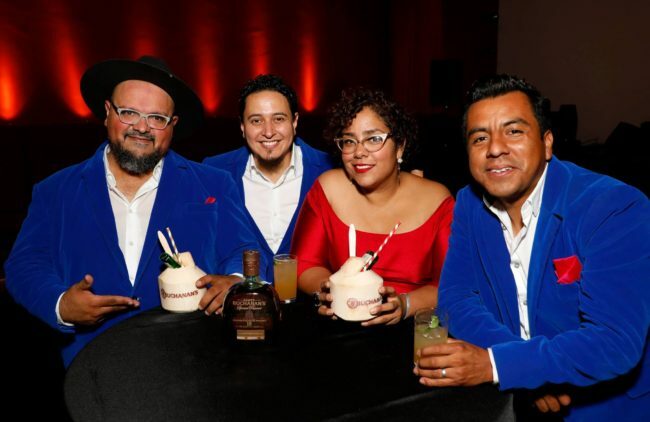 Named for the patron saint of music, the Grammy-winning band’s songs from Amar y Vivir ranged from love and loss to the everyday struggles of immigrants, reflecting the concerns and passions of a new bi-lingual, bi-cultural generation in America. The band is taking their music to that generation in an international tour promoting the video/album starting May 9 in Tuscon, Arizona, going through Texas, New Mexico, Northern California , Mexico City, Colorado and ending at the Hollywood Bowl on September 17. Tour dates and locations are on the band’s website. Amar y Vivir is NOW available at La Santa Cecilia.